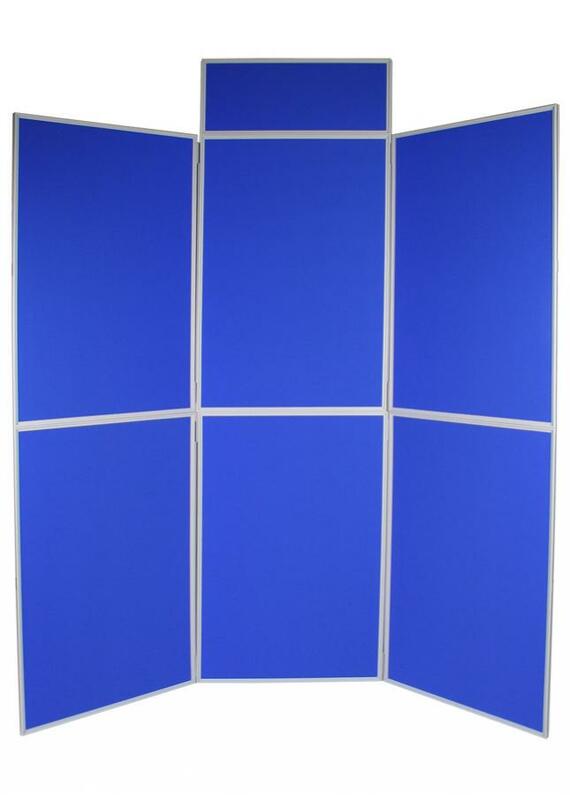 Double-sided, freestanding display board kit with 6 panels and a header - great for school displays and art exhibitions. 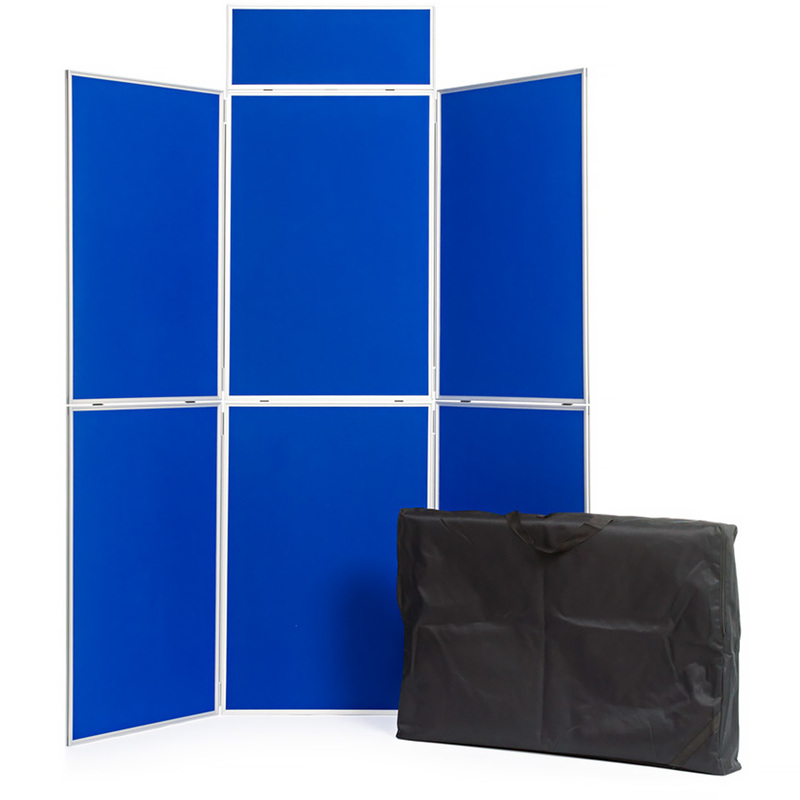 Panels have black or grey PVC frame and are covered both sides with loop nylon fabric. With 13 fabric colour choices there will be one to match your school colours. 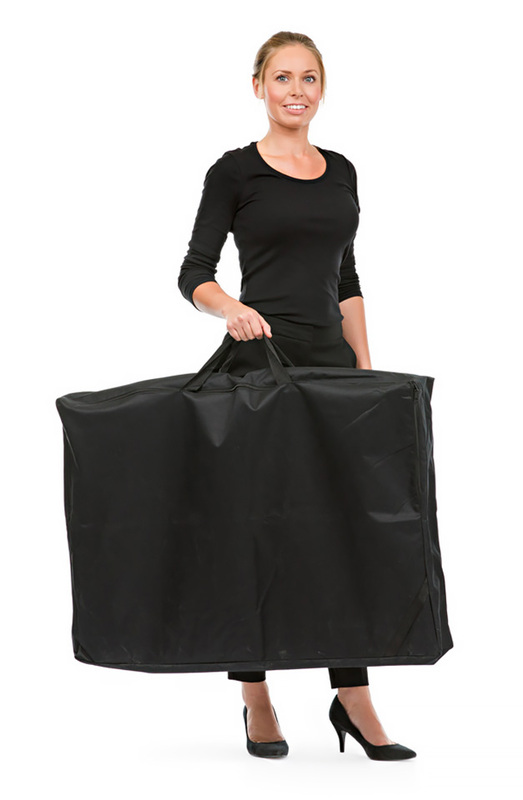 This display kit folds up easily for storage in the supplied carry bag and is lightweight so easy to transport. Each panel has a graphic recess on one side so that display materials fit flush within the frame and boards can be packed away with graphics in situ. If you choose the colour option of royal blue fabric one side and light grey on the reverse with a grey frame then your board will be dispatched the same working day (for orders received by 2pm). 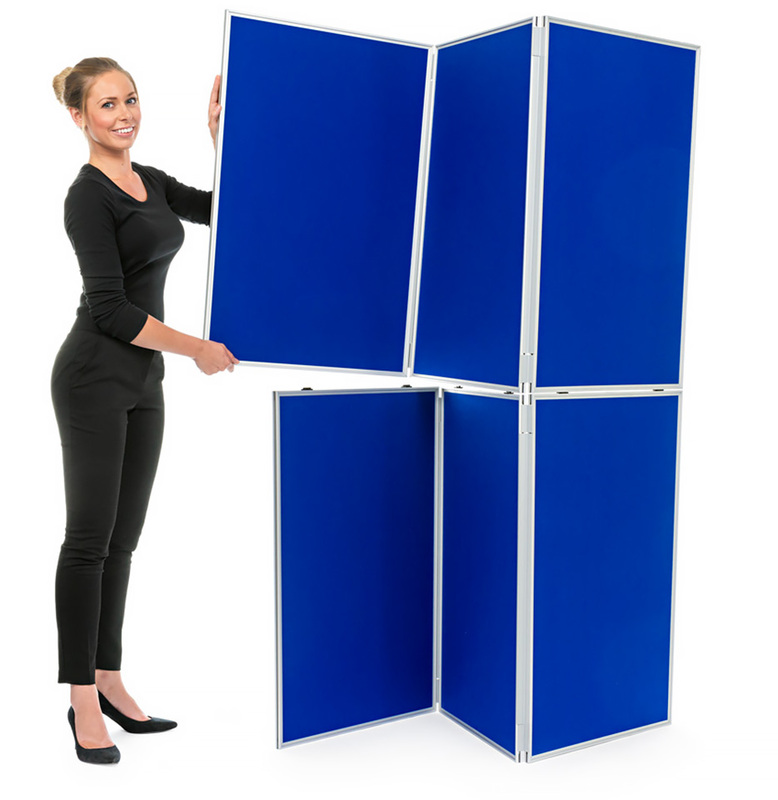 We have a whole range of display boards. For more information please Contact Us or call us on 01733 511121. Royal blue/light grey fabric with grey frame is available for next day delivery* (on orders received by 2pm). Other colours are dispatched within 5 working days.